First Class Comfort: Comfortable wear even on long journeys with an adjustable headband, 90° rotatable ear cups, and pillow-soft protein cushions. These headphones are foldable and come with a carrying case. Professional Active Noise Cancelling (ANC) Technology. Our improved ANC technology significantly reduces noise to help you focus on what you want to hear. ANC works both with and without the audio cable and is great for reducing noise during long trips on a plane or in places with city traffic. Amazing Sound with AptX Hi-Fi Technology. Low latency, good fault tolerance, high sound quality. The 90dB give a deep, powerful, and crisp sound, make your overall listening experience just that much better. The goal that provides Customers with better sound quality, is our constant pursuit. High-quality Built-in Microphone and Bluetooth 5.0. COWIN SE7 provides high-quality built-in microphones for hands-free calls, Which is convenient for you to free yourself from wires. Bluetooth 5.0 promises quick and stable connection with your Bluetooth enabled devices, Powerful Bluetooth Function. The Professional Protein Earpad and Foldable Design. More durability and comfort, Enjoy high-quality, Long-listen comfort. Skin texture, lightweight comfortable around-ear fit you can wear all day long. The foldable Headband is not only designed for saving your desk space but for carrying in the provided bag. 30 Hours Playtime Per Charge at Bluetooth Mode. A built-in 800mAh battery won't allow your headphones power off, you can enjoy your world without noise for 30 hours' long time. Don't need to worry the power shortage problem on the long travel. 18-month warranty and quick response & friendly customer service. Note: The exclusive authorized seller is COWIN. [Active noise-cancelling technology without distraction]: thanks to the professional ANC technology, Boltune Bluetooth headphone can effectively reduce the noise even travelling or commuting on subway, bus and plane or at busy office, allow you to immerse yourself in the world of music without distraction anytime anywhere. The noise cancellation function can work well both in wire and wireless mode. [Bluetooth 5. 0 for more stable connection and effective range]: steady Bluetooth 5. 0 connection streams music uninterrupted while the built-in CVC 6. 0 microphone ensure crisp, clear calls without ambient noise. The effective range of BT-BH010 wireless headphone is up to 66ft, four times longer than other Bluetooth 4. 2 headphones, offers you a more freely experience. [Hd sound and premium call quality]: 40 mm large-aperture drivers deliver deep and powerful bass for an all-round impressive HD sound quality. Release yourself from wires without missing any phone call even when you are listening music. Enjoy voice chat or call communication as well. [30-Hour playtime in less than 1 hour charging]: with the powerful built-in 500mAh battery, the active noise cancelling headphone can work at least 30 hours with only 0. 8-1 hours Charging. Which means just 5 minutes Charging allows more than 2 hours usage. Say goodbye to power shortage in daily life. 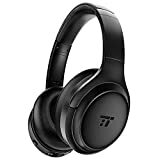 [First class comfort]: This Bluetooth headphones are equipped with upgraded soft ear cushions, 90° swiveling ear cups and ergonomic headband in minimum weight materials for comfy all day wear; Also, with handy folding design you can easily fold it into the included storage case to carry along or store away. A Personal Oasis of Quiet: Enjoy your music with minimal, or no distraction, when you turn on the active noise cancellation (ANC) switch. Feel the Beat: Expect aggressive bass with balanced mid-levels and bright highs with our dual large-aperture drivers. Long-Lasting Music Playback: With a generous battery life of up to 30 hours, you can enjoy beautiful music longer or plug in the included audio cable when the battery is low. Hassle-Free Clear Calls: Built-in CVC 6.0 noise-cancelling microphone for clearer call quality, even in a loud environment. As times change, the designers of wireless headphones continue to deploy the full range of their ingenuity in making ultramodern masterpieces that work with astonishing refinement of quality. 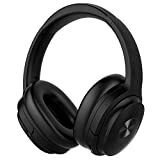 Recent advancements in wireless technology have elevated the utility advantage that many peopl e ascribe to wireless headphones. The best headphones should have a great functional appeal and convey a strong sense of style and fashion. Some of the most preferred headphones among technology enthusiasts include In-Ear Bluetooth Headsets, Over-the-Ear Bluetooth Headset and Bluetooth Headphones. You should go for a device that satisfies your unique entertainment needs. If you prefer a device that slips easily into your ears and fits comfortably like ear plugs, then you might look at the In-Ear Bluetooth Headsets. Alternatively, you might want to try the Bluetooth Headphones if you want a perfect snug fit over your head. 1. Buy Wireless Headphones with Enhanced Noise Cancelling Effect. Top quality headphones should allow you to enjoy a crisp audio effect in most environments. Before you spend your money on a headphone, read through the manufacturer’s details about its noise cancelling capabilities. Highly advanced headphones should allow you to enjoy great audio without hindrance. Remember that you may have to use the devices when traveling or in raucous backgrounds. The noise cancelling effect is always a big plus if you aspire for high-quality entertainment. Usually, headphones with an enhanced noise cancelling effect achieve a greater audio quality than those that lack such an advantage. The harmonics, tone and pitch of sound are clearly elevated in a way that registers a pleasant sound effect to the ears. The ingenious designers ensured that these devices impart minimal stress to the ear drums. The health of your ears depends on the quality of sound that fills your ear drums. Great wireless headphones are supposed to make life easier and merrier. Struggling with some difficult digital controls of your headphones cannot be anybody’s idea of fun. Consider buying headphones that are widely acknowledged for their user-friendly appeal. You should be able to enjoy your music as you pace up and down the streets or as you relax in a cafeteria without fumbling clumsily with the controls. Fortunately, modern technology has made this possible. Headphones should be considered as user-friendly if their settings and controls respond easily to every touch. 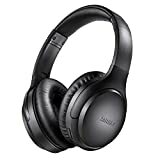 Such headphones should also carry the aspect of convenience that allows the average user to control and adjust the features with great ease and flexibility. The latest inventions are designed with synchronized controls that allow the user to apply multiple tasks with a few buttons. Besides, you should think of buying headphones that come with an easy-to-follow manual. The idea of a wireless headphone inclines strongly on the aspect of portability. Bulky headphones can make life unbearable, particularly for people who want to enjoy greater flexibility and comfort. The greatest quality of headphones are usually styled in ways that make life more pleasant. Reputed headphone makers have always sought lightweight material for making the main parts of these devices. Portability is a factor that determines the element of convenience. However, the lightweight aspect of these products should not imply cheapness. You must look for headphones that are uniquely light, but remarkably strong and robust. A balance of these two qualities is necessary for the headphones to achieve utmost durability. Substandard headphones tend to become dysfunctional within a few days of usage. Therefore, it is important to study the manufacturer’s specifications about product weight and type of material before buying the items. 4. Buy Wireless Headphones with Great Listening Range. There is a lot to love in headphones with a great listening range. You can imagine straying away from the connecting device in the living room and still enjoying great quality audio in the patio or upstairs. Bold advances in wireless technology have made it possible for people to enjoy great entertainment without limiting their movements. Find out the listening range of your device by actually testing it because the makers might not have considered the uniqueness of your home’s setting. Some wireless devices may come with unqualified claims about great listening range, but the real effect may not live up to the hype. Therefore, you must consider the obstacles within your house and determine their possible effect on the audio quality. 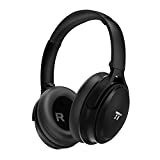 Generally, high quality wireless headphones are designed to project their power within specified margins provided that the quality of sound is not compromised by walls and other physical features. 5. Choose Headphones with Long Battery Life. If you detest the inconvenience of regular replacement of your headphones’ batteries, you must insist on a longer battery life. Obviously, the first place to check is the product description from the manufacturer. However, for a balanced opinion about the batteries, you should consider reading through the various reviews from current and previous users. Such reviews will also help you to learn about other technical flaws and strengths of the product. The battery life of different headphones vary in accordance with the uniqueness of the charging systems and the level of usage. You should also consider your lifestyle before choosing your ideal headphones. If your daily routine entails a lot of traveling or staying outdoors for long periods, you should never compromise on the quality of your batteries. Moreover, you must consider the long term cost implications with particular regard to battery life. Fatigue and discomfort are some of the dominant complaints that are levied on some headphones on the market. You should find out whether your headphones are sufficiently snug on your ears. Great quality headphones should hold comfortably on your ears without causing any fatigue. Find out whether the pads are amply cushioned so that you do not suffer from the discomfort that comes from excessive heating. Ultimately, the crucial steps of buying high quality wireless headphones should entail a close assessment of their utility advantage and functional appeal. Secondly, you should think about matters of portability, quality of fit and durability. 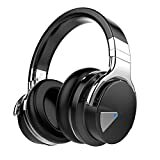 Finally, as you think of how to buy wireless headphones, you must keep in mind that high quality audio devices must also be comfortable and fairly priced.